Thank you for considering adoption! We have rabbits from several organizations listed on our Local Adoptables page, so please consult the guidelines for the organization that is helping the bunny you are interested in adopting. These guidelines are for animals available for adoption through Triangle Rabbits. We are allied with the House Rabbit Society, and we follow their general policies for adoption. Below you will find additional details about our guidelines. Triangle Rabbits is made up of a network of foster homes, so meet and greets are by appointment. The primary caregiver must be an adult. The rabbit should be wanted by the entire family. Like a dog or a cat, caring for a rabbit is quite a responsibility, and while a child can certainly help with this, an adult should assume ultimate responsibility for their care. Interest forms should be completed by the primary caregiver. Roomy living space is essential to a happy house rabbit. An indoor enclosure at least eight square feet is required to house the bunny which can be an exercise pen, an extra large dog crate or a spare bedroom. The space should contain the rabbit’s litterbox, food and water bowls and an assortment of toys (boxes, baskets, etc.) for them to play with. The rabbit should be out of his or her house at least 2-3 hours per day for quality time with the family in a bunny-proofed area. All of Triangle Rabbits’ rabbits are spayed or neutered. Exceptions may apply to special needs rabbits. All rabbits seeking the companionship of a rabbit friend are required to have been altered at least one month prior to the introduction process. Other rabbits in the home should also be spayed or neutered. If resident rabbis are not altered, we would be happy to provide a list of local veterinarians that work with rabbits. Exceptions for special needs rabbits are considered on a case by case basis. No rabbit can be adopted into a home with snakes or ferrets. Homes with dogs, cats, and other pets are considered on a case by case basis. Gentle dogs and cats usually do well with rabbits following a gradual introduction. We do not place animals as surprise gifts or classroom pets. Rabbits require regular veterinary care by a rabbit-experienced veterinarian. In the event of rabbit illness, the adopter must be prepared to handle the financial responsibility. Often rabbit health problems require an exotics specialist vet and this can cost more than for a dog or a cat. Adopters should provide a nutritious diet. Good health requires a diet of fresh water, limited, high-quality timothy pellets (no seeds or nuts), unlimited grass hay, and a daily salad consisting of mixed fresh greens. A rabbit is a lifetime commitment. House rabbits live an average of 8 – 10 years and adoption is a commitment. Please consider carefully – “Will you be willing to take your rabbit with you when you move? Break up, if in a relationship currently? Lose your job, or take a new one?”. 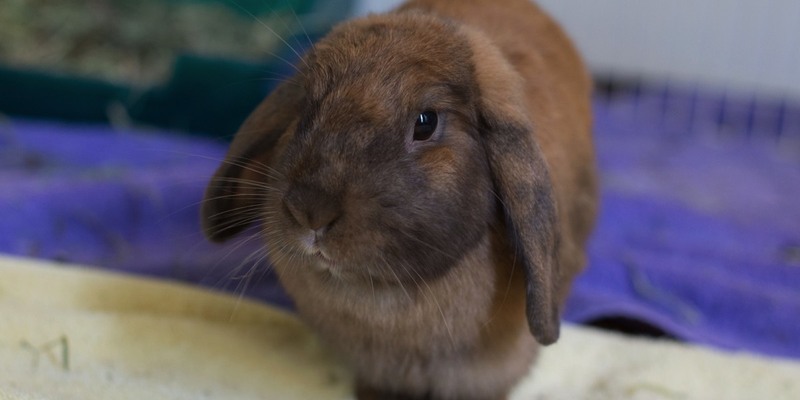 If an adopter needs to return one of our rabbits, we ask that you give advance notice. We do need time to make preparations for a foster space for the returning rabbit. Triangle Rabbits will exchange a previously adopted bunny if 1) The adoption team and adopter are working together on making a match between an adoptee and a pre-residing rabbit and in the adoption team’s judgment a different match would be less stressful to the animals, OR 2) If the adopted rabbit does not adjust well to his or her new home environment and a judgment is made by the adoption team that it is in the bunny's best interest to be returned to foster care. Triangle Rabbits adoption fees are donations that cannot be refunded. We are a federally recognized tax-exempt, nonprofit organization. Fill out an Adoption Interest Form and return it. The form is sent to our adoption team and any additional questions are gathered together. Prospective adopters are asked to answer any questions via telephone or email. Please keep in mind that we may receive more then one interest form for a particular animal, and sending a form does not guarantee an adoption. Schedule a meet and greet with the foster rabbit(s). At the meet and greet we chat about rabbit care, answer any additional questions, address any concerns from either the potential adopter or the adoption team, and see how the foster rabbit interacts with the family. Submit photos of the space where the rabbit will live, and the space where they will be allowed to have daily exercise. Please include any photos of any special rabbit proofing, gates that prevent entry by other pets, etc. Agree to an in-home visit pre and/or post adoption. Review and sign the adoption contract. Pay the $50 adoption fee. All rabbits are spayed or neutered and checked by an exotics veterinarian. You will receive an adoption kit with contact information and rabbit care information when your adoption is final. Send us adorable update photos of your bunny in their new home! Please contact us at adopt@trianglerabbits.org or fill out our adoption interest form if you are interested in adopting one of our rabbits.